Marvel sent over a comic shop only variant cover for the upcoming Avengers: X-Sanction #1. As all-out war breaks out between Cable and the Avengers, your comic shop will get caught in the crossfire and be immortalized in one of two all new covers! 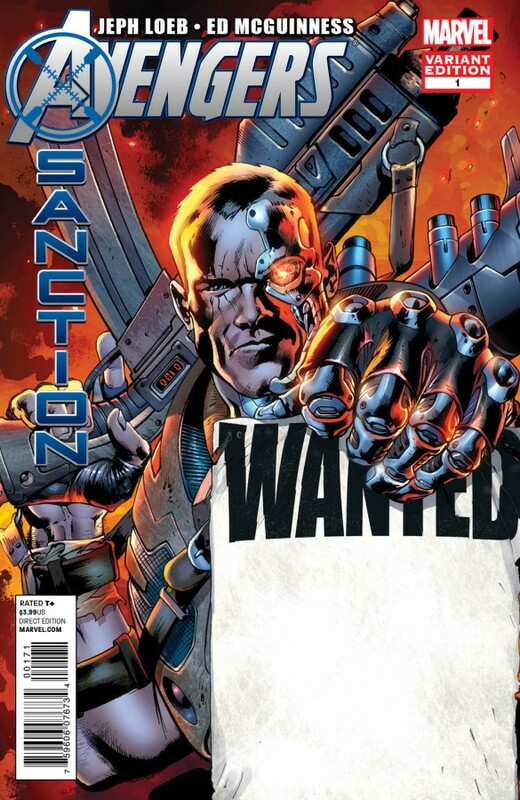 In the Avengers: X-Sanction #1 Wanted Variant by Bryan Hitch, see the bounty on your comic shop with an actual photograph of your store right on the cover! Then, in the Avengers: X-Sanction #1 Battle Variant by Carlo Pagulayan, Captain America goes toe to toe with Cable defending your favorite comic shop, complete with store name and logo prominently featured! Leading into the biggest event in Marvel history, Cable has just 24 hours to destroy the Avengers to save the future and the battle is being brought to YOUR front yards! 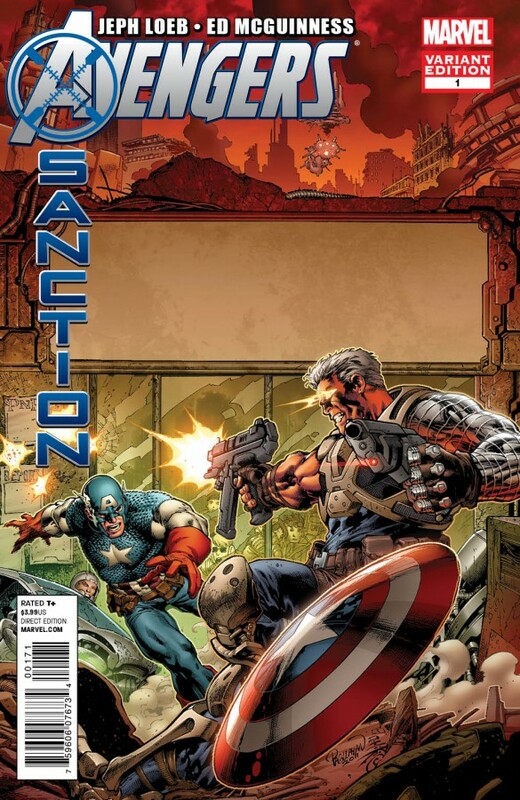 Avengers: X-Sanction #1 arrives December 14, 2011. Isn’t Cable dead? Or shouldn’t he at least have the decency to stay dead? Why is his face half metal in one of these and not the other? Why do I care? Never did like Cable. Where did Marvel toss “Deathlok”? 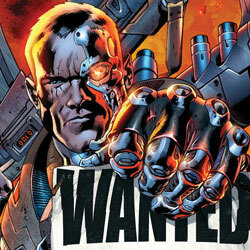 You know… the cyborg super soldier that cable stole his “look” from!? !